WHAT IS THE ALASKA AIRMEN'S ASSOCIATION? The Alaska Airmen’s Association, established in 1951, is the largest general aviation organization in Alaska and is one of the largest GA groups in the country with over 2000 active members. It is a non-profit 501 (c) 3 membership based organization whose sole purpose is to protect, preserve, and promote general aviation. We host the annual Great Alaska Aviation Gathering, America's largest free-entry aviation tradeshow with nearly 300 exhibitors from around the world and 30,000 attendees in Anchorage, Alaska the first weekend of every May. We also host our annual SuperCub raffle each year, which is the Association's main fundraiser and also the largest raffle hosted in Alaska. Membership includes all pilots, student through ATP, mechanics, airline employees, aviation enthusiasts and any individual or business that has an interest in flying. Membership is open to everyone, including non-Alaska residents. Our members reside in 5 countries, 46 states, and represent members in 50 Alaskan cities and villages. The Airmen maintain an active liaison with agencies and departments across the United States, the State of Alaska and local governments that are charged with the responsibility of regulating general aviation. Everyday we are addressing important issues such as the closure of airstrips, airspace, state leasing regulations, weather, aircraft taxing, etc. Volunteers sit on numerous committees statewide representing you and the interests of general aviation. You also receive a substantial member benefit package when you join. Our quarterly publication keeps you up-to-date on Association activities such as pilot safety meetings, seminars, fly-ins, banquets, special events and the latest and greatest in general aviation! Membership discounts are available around the state and online, on fuel (up to .15 cents per gallon), aviation parts, survival equipment, labor and much more. Use your Airmen’s membership card to save! 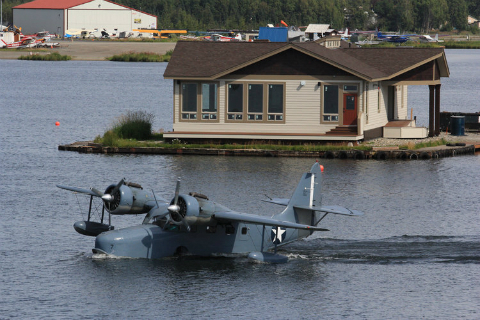 Lake Hood Seaplane Base is the location of our headquarter office. 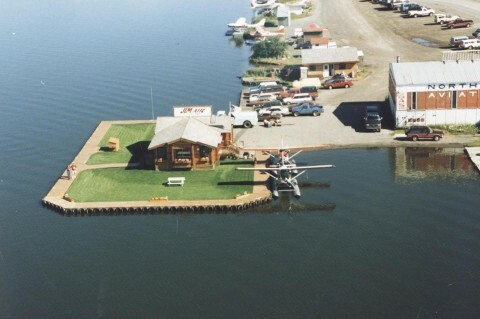 We are located at 4200 Floatplane Drive, Anchorage, AK 99502.